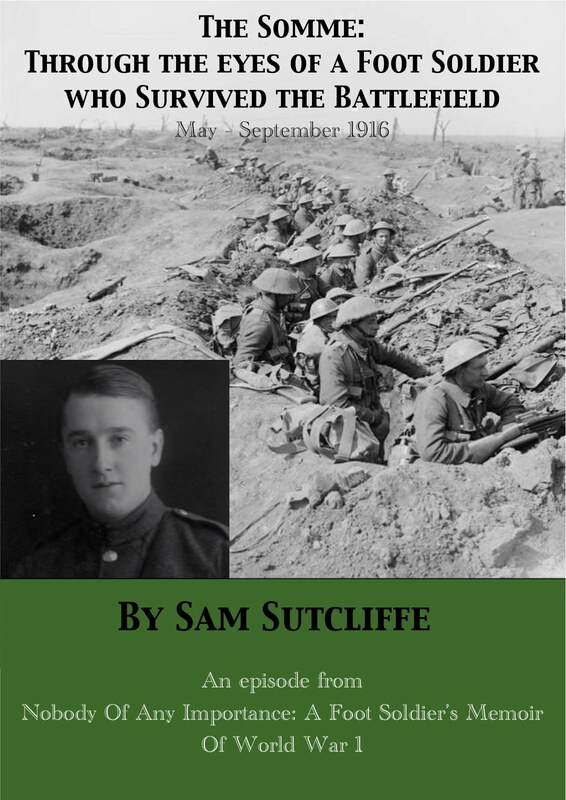 Sam on the Somme gets to quaff champagne with the Sergeants… Plus reflections on courage, cowardice and the Army’s demoralising resort to battlefield discipline-by-death-threats. A hundred years ago this week… World War 1 proceeded unrelentingly, from the Western Front down to southern Africa with participants, of course, extending its reach eastwards to India and Australasia and westwards to Canada. In France, the German Army lost ground almost everywhere, while often suffering fewer casualties than their enemies. This was true at Verdun, where their August 1 surprise attack south of Thiaumont gained 800 metres but provoked a response which saw the French retake Fleury (3) and the ground yielded near Thiaumont (6). On the Somme Front, the French beat back the Germans at Estrées too (August 2), while the British repulsed attacks at Bazentin and west of High Wood (July 31), and Delville Wood (2), and the Anzacs endured a bloody success at the Battle Of Pozières via a carefully prepared attack on the “O.G. lines” (5-6, German trench lines north and south of the Albert-Bapaume Road). Throughout the week, the Russian Army's Brusilov Offensive, June 4 to September 20, went on pushing back both Austrian and German forces in Ukraine (despite delay caused by the Battle of Kovel, July 24-August 8). However, the Turkish Army combatting their Armenian invasion around Erzincan began to inconvenience them enough to give the first hint they really were overstretched and emphasised the point by driving them back east of Kermanshah, Persia. Still, the Allies moved towards further victories at the 6th Battle Of The Isonzo, the Italian Army attacking the Austrians near Gorizia (begun on August 6, many more to come, 13,000 Italian casualties, 8,100 Austrian), at the Battle Of Romani in Egypt where the British and Anzacs held off an Ottoman/German attempt to take the Suez Canal (3-5), and In German East Africa where the British occupied Saranda and Kilimatinde (July 31) and the Belgians Ujiji on Lake Tanganyika (August 3). Last week, in the aftermath of July 1, my father told stories of the smaller things that happened to him as he wandered about the Kensingtons’ support trenches, rediscovering a strange kind of normality after the humanity-crushing hell of the Great Day – and even inventing the rifle-guitar, painful to the ear yet restorative in that it provided distraction, comic relief. ‘Our next move took us rearwards again, to the village with the ruined church and its undamaged cross, where we had previously spent a week or so*. There we slept in barns and outbuildings on comfortable bunks made of wood and wire netting. Out of the blue, the Sergeants invited me to join them in evening social drinking in the barn they occupied. 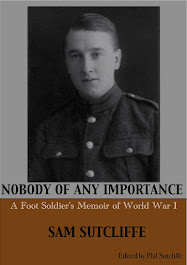 Corporal’s pay made me comparatively wealthy, so I could afford to put my bottles on the long table, lit by a dozen candles, around which the Sergeants gathered for an hour or two each night before “Lights out”. Each contributed what he had been able to procure – at that moment, champagne was a good buy because the owners of one big house had decided they couldn’t carry on living in that dangerous area, finally abandoning the hope, long shared by many in that region, that the Allies would soon drive the Germans back to the Rhine… when here we were, halfway through 1916, still bogged down in trenches nearby. So, imagine: champagne at 2.50 francs the bottle, brandy cognac about 5 francs, curaçao about 8 francs, coarse red wine 50 centîmes**. The red wine I didn’t favour. A few weeks previously I had drunk two whole bottles during an evening, and become tipsy in a sad, sour way; the next morning I drank water to slake a foul-tasting thirst and found myself again unsteady on my feet, with a heavy, hazy head – whereas a steady tippling session mainly on champagne yielded a night of unbroken sleep followed by an awakening to a clear head and a feeling of well-being. The real boon of these evenings with the Sergeants was the relaxation they bestowed. I can speak only for myself, but surely the others must have felt something of it. The expected thing was to never expose one’s feelings, so I always tried to give full attention to the matter in hand, despite sometimes suffering intense apprehension about events nearby, such as shell-bursts overhead, eruptions of earth when a shell penetrated then exploded, or, in an otherwise quiet period, when I heard the wu-wu-wu of an approaching Minen flung high by its Werfer***. The ever-present threat of these and other devices, used by civilised people to kill each other – and yet still avoid actually seeing their victims bleeding and writhing – these threats kept me in the state of high tension which made that acid smell rise from the palms of my hands. If we had all behaved naturally we would have ducked and started to run back… ever so far back. Occasionally, a man did just that and, if charged, would be court-martialed for showing “cowardice in the face of the enemy”. 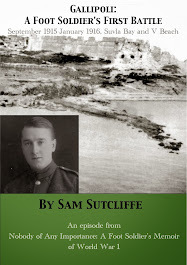 Around that time, I had the unpleasant duty of being Corporal-In-Charge of a small party of men assembled to march a prisoner from the hut in which he was confined to a court martial held in a farmhouse. Having rehearsed our part in advance, we marched the poor devil in, heard the prosecution and defence, marched him out while the court deliberated, took him in to hear that he had been found guilty, the sentence to be announced in due course, and marched him out. These things, so very far removed from the cheerful volunteer spirit of 1914, made those early days seem like a chapter from a different war altogether. Now it was every man for himself and if Jerry doesn’t get you, General Haig’s red tabs**** will. As we often said, it was all right for those bastards at Army HQ about 50 miles back. With their maps, plans, and schemes, battle was probably no more than a game to them, to be played between 10-course meals. Indeed, solid rations such as bread, butter, cheese etc, were distributed through “the usual channels”, that is, a recognised pecking order as they passed from Division Headquarters, on to the Brigade, to the Battalion and finally to us, the Company. 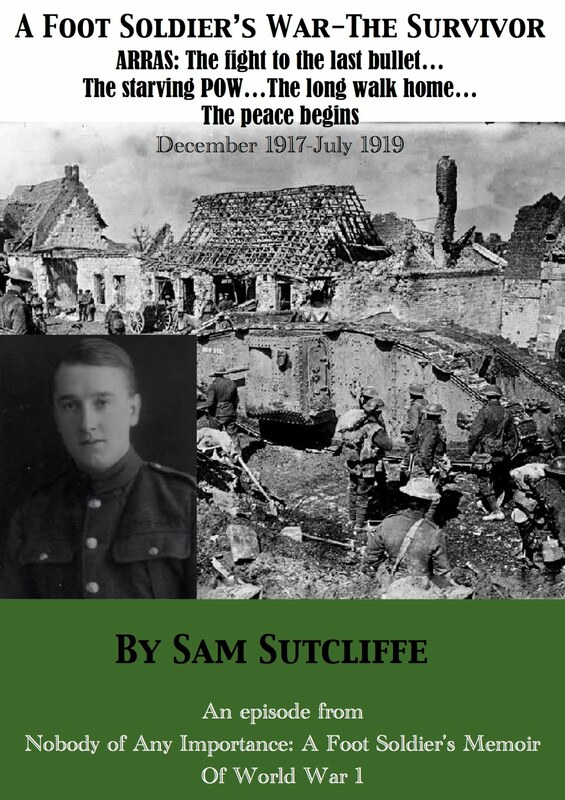 When, in the front-line trenches, the bread allocation they gave me to share out amounted to rather a small portion per man, I found it pretty disgusting – because I was handed my own Corporal’s ration for the day separately and that was a half-loaf. I questioned this with the Sergeant controlling the distribution, but he insisted this was all correct, since those responsible for others did more work and must be maintained in a fit state to do it. However, reverting to the one court martial in which I had to play a formal part, I should mention a couple of things. I knew the prisoner who, although in a different Regiment by that time, had previously belonged to the Battalion in which I enlisted. I never liked him – too clever by half, with small, shifty eyes — but I felt sorry that he had to die that way. Yet I never did see confirmation of the death sentence, only made that assumption… And, a couple of years after that war finished, from the top of a bus near Marble Arch I spotted Kerminger, that same prisoner, fit, well, and obviously enjoying the sunshine and life generally. So they didn’t shoot him after all. But why not? When ordered to go over the top and charge, he’d run in the wrong direction and got several kilometres rearwards before they arrested him. Perhaps courts martial did not always send men found guilty to the firing squad and the execution lists we saw on the front line were adapted to scare potential deserters? * This is probably Souastre – about three miles west of the Front at Foncquevillers (Hébuterne/Gommecourt where the Kensingtons fought from May to mid-August being a couple of miles southeast). I’m not entirely sure because, when I visited the area during the Somme 100 commemoration, in Souastre I asked one of the older residents whether the church had been destroyed during World War 1. She said no, the village had been just beyond the range of German artillery and survived untouched. But the War Diary avers that Souastre was shelled sporadically while the Battalion billeted there and, for example, suffered substantial damage on June 26, 1916. The notorious fog of war does settle over many such “simple” matters of fact, but if anyone can offer further info I'd be glad to hear it for the next round of endnote updates. ** According to Chris Henschke responding to a question on 1914-1918.invisionzone.com “The rate of exchange for issues of cash to the troops of the Expeditionary Force was fixed at the rate of 5 francs = three shillings and seven pence for the month of July, 1916”. But there seem to be other versions of these figures… and pricier wines available: Alan MacDonald’s brilliantly exhaustive history of British side of the Somme battle at Gommecourt Pro Patria Mori says the more discerning soldiery enjoyed Souastre’s estaminets because they flogged Veuve Clicqout champagne at 9 francs, rather than the 2.50 my father forked out for less exalted appellations. *** Minenwerfer: translates as “mine thrower”; actually what the British Army called a mortar, that is, it lobbed bombs up and over into the enemy trenches; the German version came in three sizes, light, mid-size and heavy. **** “Red tabs” staff officers at HQ, identified by these tabs on their lapels.